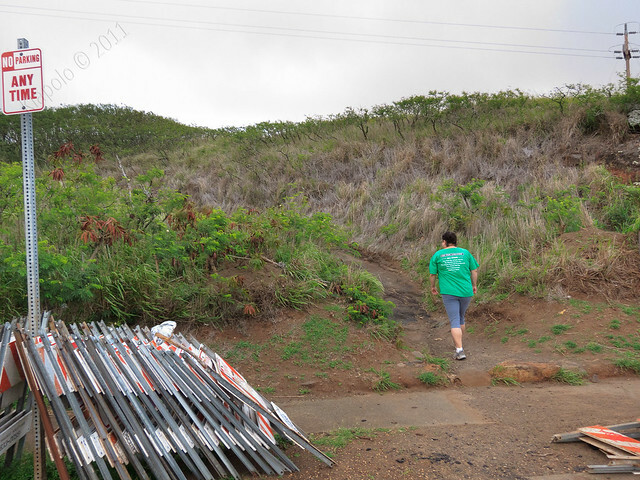 Update: The pricks at Kamehameha Schools have since closed off this hike from the public. A fence has been erected at the trailhead and residents have been instructed to call the cops on trespassers. Sommer offered to go hiking with me the day after Christmas! I had to quickly jump on the offer before she came to her senses. We decided on Mariner's Ridge, a hike we haven't done since the summer of 2007. We started off from the trail head just as the sun was rising above the horizon to start another day. 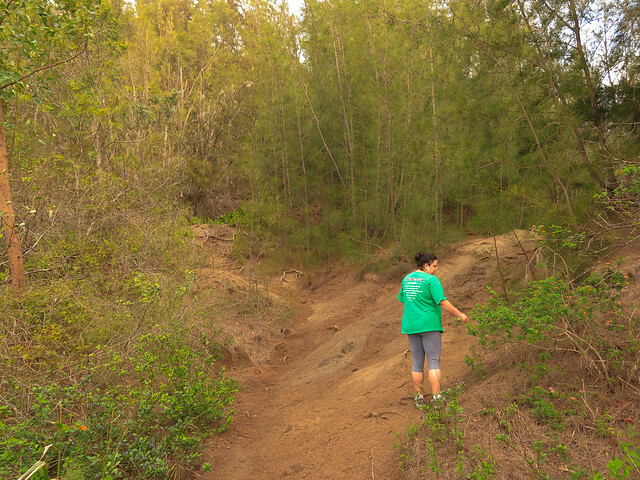 Despite being overcast and windy, the trail remained dry during our trip to the summit. About 3/4 of the way to the top Sommer and I took a short pit stop at a rest/camping area that had been set up in a clearing just off the trail. The area looks to be dedicated to the Navy SEALs (I'm assuming it's not dedicated to seals the animals). 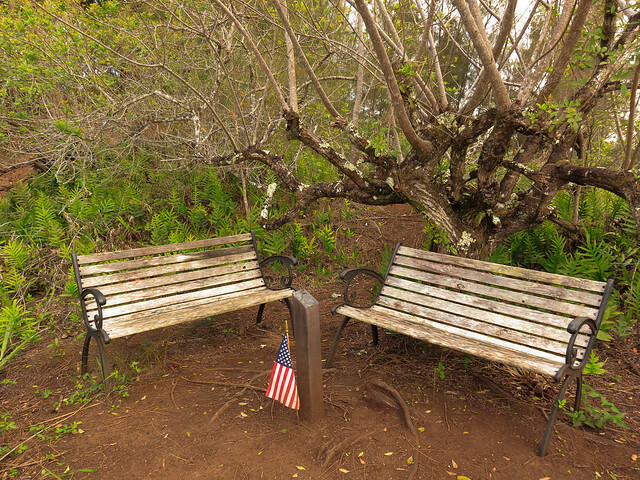 There were several plaques, American flags and two benches in the clearing. 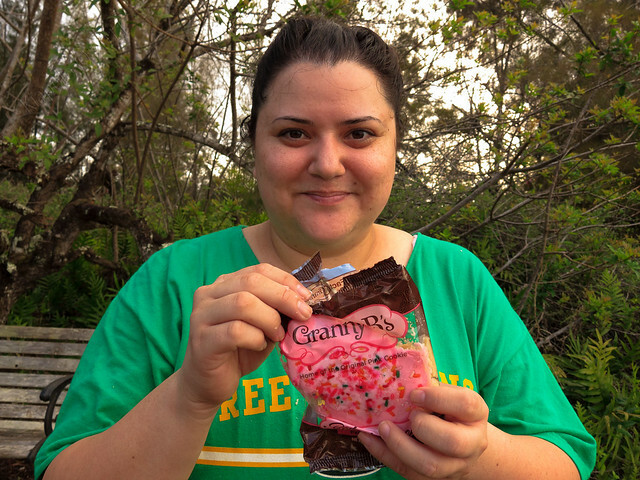 Sommer snacked on some Granny B's pink cookies that her sister sent her for Christmas! 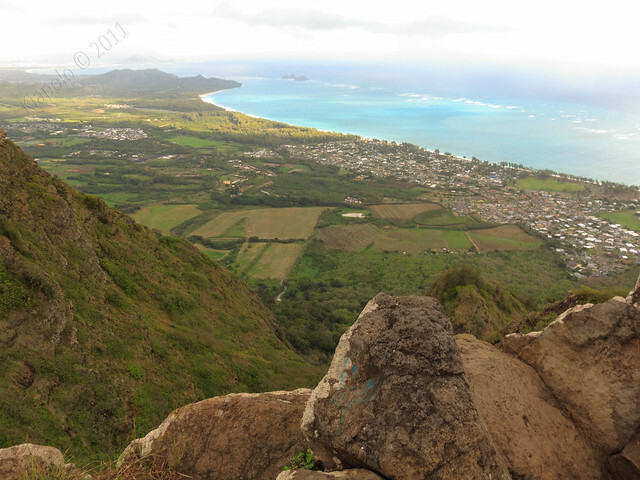 Within minutes we topped off at the Mariner's Ridge terminus over looking Waimanalo and Kailua. 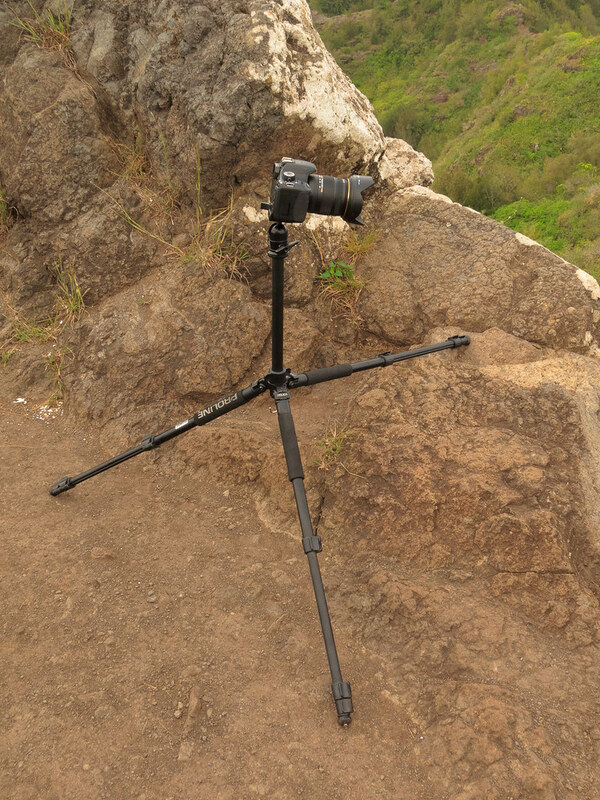 I set up my tripod and DSLR to take some video. I was able to make this time-lapse of the view from the summit. 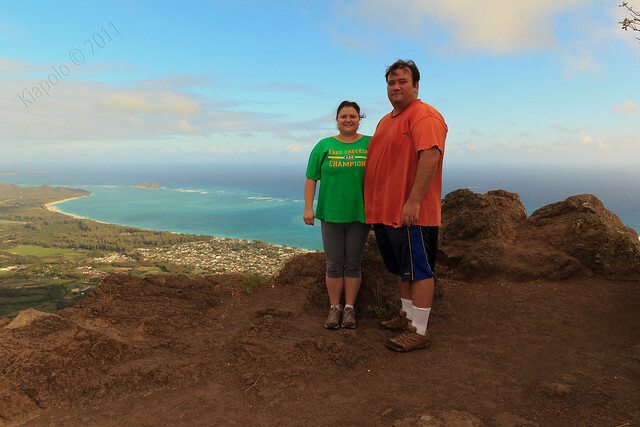 After a brief time on the Ko`olau crest we turned and returned the we came, enjoying the short hike back to civilization.